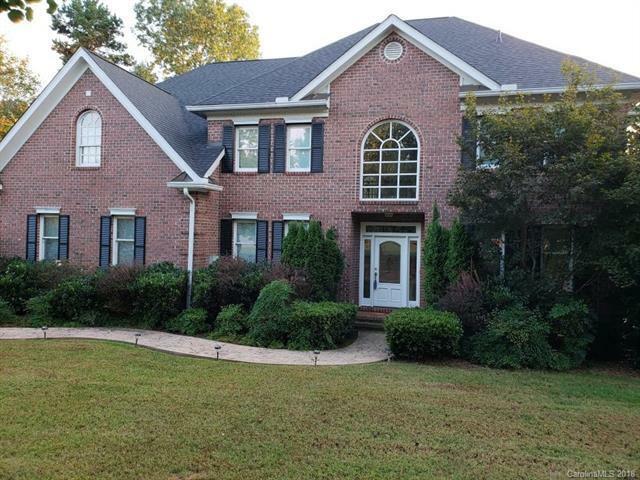 Gorgeous 2 story Full Brick home with finished basement. BRAND NEW ROOF as of 9/10/18 with warranty that transfers with the property. Large remodeled kitchen with new granite counter tops. Spacious master and ensuite bath with enormous closet and dressing area. Lower level has brand new carpet, built in bar, incredible storage and a spacious bedroom. Surrounding this lovely home are rock retaining walls, beautiful gardens & a fish pond. Fabulous, gated Waterfront community w/boat storage & dry dock, picnic area and boat launch with day slips. You will love having access to beautiful Lake Norman within walking distance from this property. *Home has built in vacuum system and the exterior is wired for a hot tub. Guest bathrooms upstairs and downstairs half bath have been freshly painted. This home is priced to sell. Seller highly motivated, please bring all offers.